A potentially fatal virus has swept through Delhi, hitting hardest in the more upmarket south of the city. By Sunday, 652 cases of dengue fever had been reported in the Indian capital, with nearly 40% of patients coming from areas under the control of the South Delhi Municipal Corporation, government data revealed. Dengue fever is a viral infection carried by mosquitos, which can develop into the life-threatening dengue hemorrhagic fever, and travellers to Delhi are strongly advised to take out medical travel insurance before they visit. 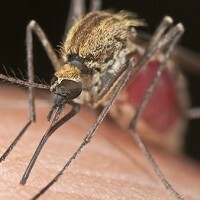 Prime real estate locations in South Delhi, including Chanakyapuri, Netaji Nagar, Laxmi Bai Nagar, Kidwai Nagar, Greater Kailash and spots near the All India Institute of Medical Sciences and Safdarjung hospitals, have been identified as key breeding grounds for the deadly mosquito. The Municipal Corporation of Delhi (MCD) and the New Delhi Municipal Council have attempted to control the disease's spread, but Dr VK Monga, former chairman of the MCD's health committee and a public health expert, said the area's higher living standards may have contributed to the outbreak. "One of the biggest reasons for South Delhi being worst-hit by the dengue virus is the comfort-seeking lifestyle of the residents in the area," he said. "Almost all the families here have air conditioners, coolers, flowerpots, overhead tanks for water storage and pots for feeding birds."